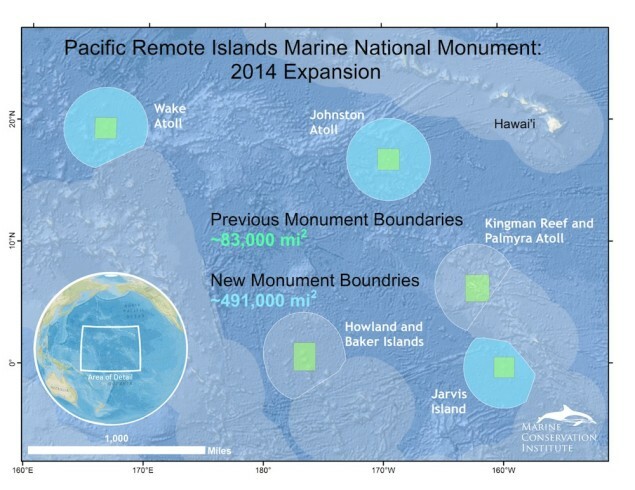 The result could mean large stocks of fish in the Pacific including at least parts of the newly expanded Pacific Remote Islands Marine National Monument could loose the protection of US regulation This could have long term implications for the US fossil fuel industry as well as the future of Offshore Thermal Energy Conversion. This Video does not appear to show the sinking of the fishing vessel. Speckles on the hull of the F/V seen at time 0:20 and 0:50 may be bullet holes. The video does appear to show the participants. We have reports (here and here) that the Argentine Coast Guard (Prefectura Naval Argentina (PNA)) fired on and sank a Chinese fishing vessel (F/V), the Lu Yan Yuan Yu 010, believed to have been fishing illegally, after the F/V failed to stop after shots were fired across its bow and it allegedly attempted to ram the Coast Guard vessel. The crew reportedly was rescued, without fatalities, four by the Argentine vessel and the rest of the crew by another Chinese F/V. 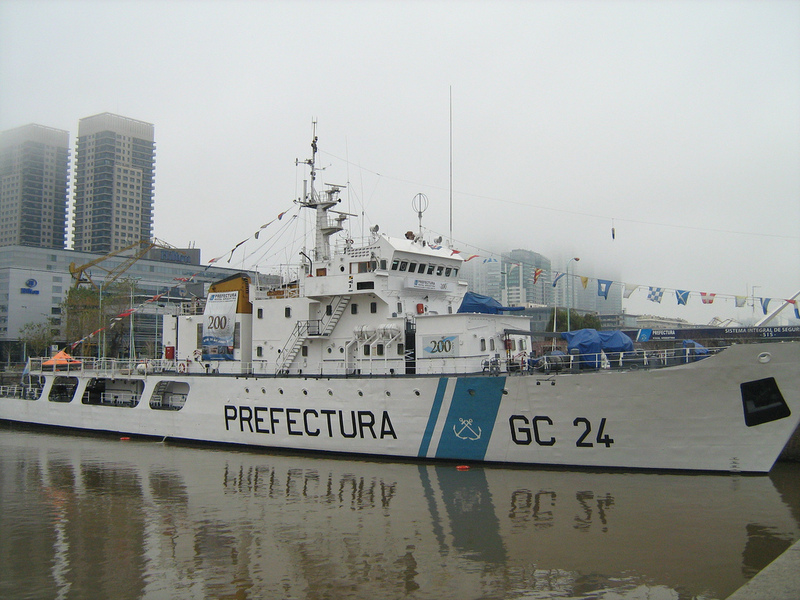 Photo by Diegoventu: PNA Doctor Manuel Mantilla (GC-24), a sistership of the Argentine vessel involved. The PNA vessel seen in the video, Prefecto Durbes (GC-28) is one of five offshore patrol vessels (OPVs) built in Spain for Argentina. The Mexican Navy also has six similar vessels with larger flight decks and more powerful engines. 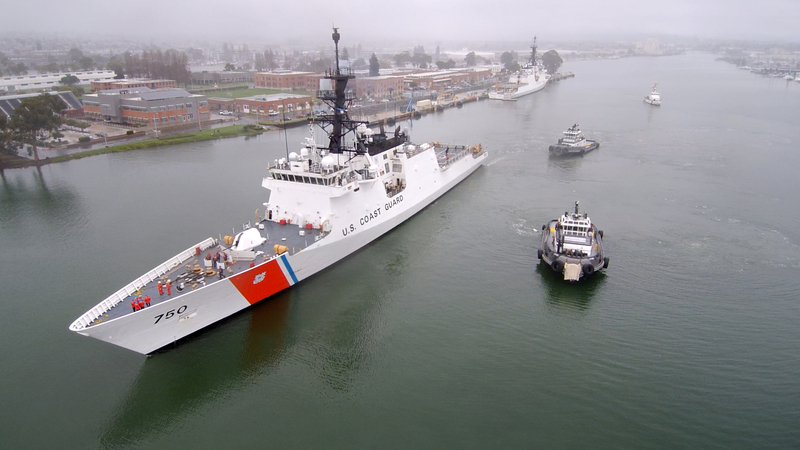 In size they slot between the Reliance Class and the Bear Class, being 67 meters (220 feet) overall. Unlike the Reliance class, they have a hangar for their version of the H-65. In addition to machine guns, these ships are reportedly armed with a Bofors 40mm/70, but looking at the video, the location where the gun was mounted (on the platform forward of the bridge and one deck above the foc’sle) is vacant. This suggest that the damage was probably done by .50 cal. machine guns. We know from our Vietnam experience that .50 cal. 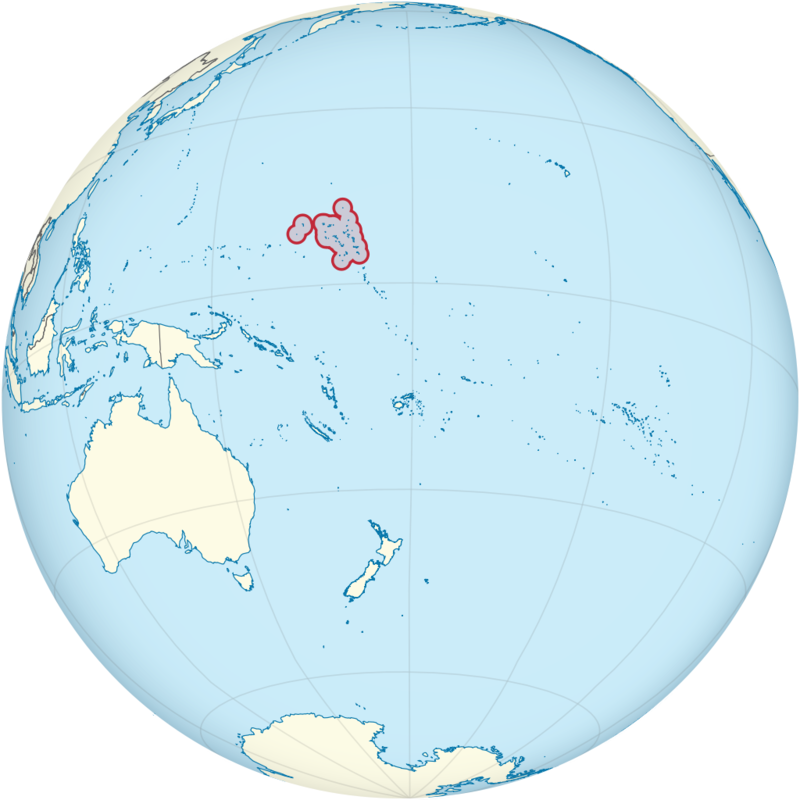 can sink fishing vessels, but the ranges are very short. Looking at the video the ships appeared to be no more than 300 yards apart. It is a bit surprising no casualties were reported, although the reports say no fatalities, they do not say no injuries so that is still a possibility. 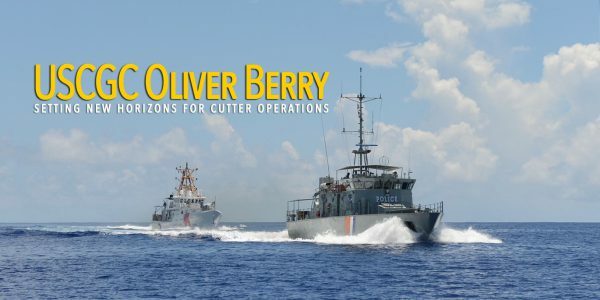 Did the crew of the OPV order the Chinese crew to abandon before sinking the F/V, or did they perhaps tell them where they were not going to shoot so that the crew could assemble safely? It does not sound like it. We have only this statement from an Argentine representative that after actions by the Chinese vessel, “…the order was given to fire on different sections of the vessel, damaging it,” It is unlikely, but not impossible, the crew helped the ship sink to destroy any evidence of wrong doing. The Jakarta Post reports that the Indonesian government will attempt to use the Automatic Identification System (AIS) to manage their fisheries. They plan to exploit an open source system called “Global Fishing Watch,” a partnership between SkyTruth, Oceana and Google. There are certainly limitations on the data available from this system. AIS can be turned off or spoofed, but the Global Fishing Watch website has some answers for these limitation, and careful tracking can to some extent mitigate the problems.